Over the top II, a photo by The Bacher Family on Flickr. 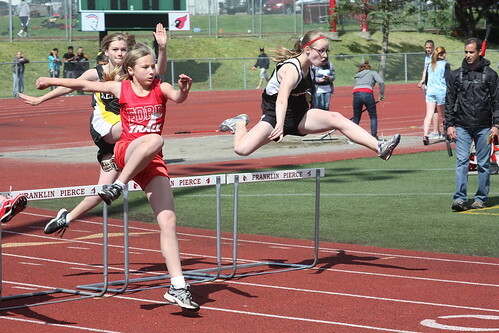 The hurdles are so much fun to photograph! 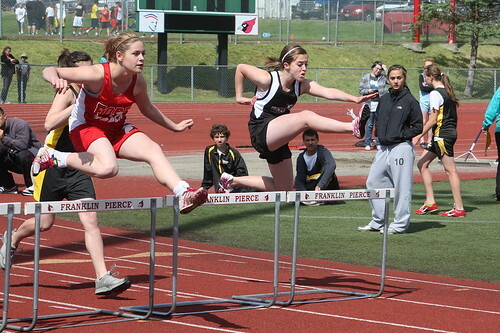 This set of images is from the District Meet at Franklin Pierce High School, where the Eatonville Middle School women's 100 meter hurdles were competing.